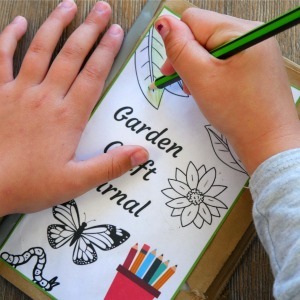 How to make this amazing kids garden diary! 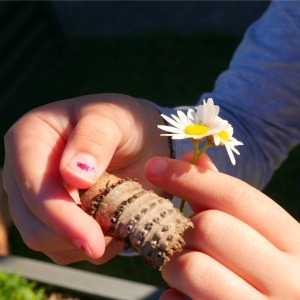 We love creating with nature and it’s awesome to have an idea then head outside and find something we can use. This time we decided to create a nature diary or journal and then collect a range of items we find. When we brought them back inside we started planning some activities with them. It’s a great way to get the kids thinking creatively, and they sure do come up with some awesome ideas. 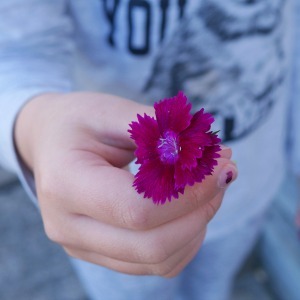 Nature craft is fun, cheap and is a great way to connect kids with the outdoors. Search for the unusual, the unique and the brightly coloured, and you’ll be encouraging kids to look beyond the normal and expand their imagination. So this is what we used to make our nature craft journals. The best bit about this project is it costs next to nothing. 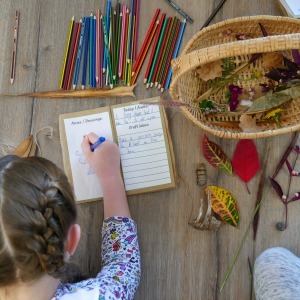 It’s getting to the pointy end of the school holidays, so we’ve got some awesome cheap, fun and engaging ways to keep the kids busy. Check out our website for more garden fun ideas. 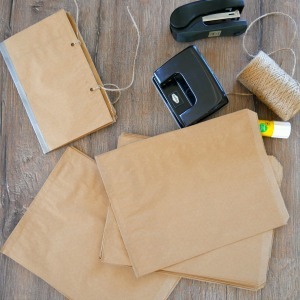 Take 6 brown paper sandwich bags and top to tail them. So start with an open end then a closed end and so on. Next, fold them in half to make 12 pages. Keeping them folder, staple along the fold in 3 places. Now your journal is one piece. Add some binding tape over the fold and cover the staples on both the back and front of your journal. Using the hole punch, add 2 holes to the front and back pages only. Make sure they line up. Cut 2 pieces of string or ribbon and tie one piece of string to both holes on the same side. Repeat for the other side. Then cut both pieces in the middle. Now you should have 4 even pieces of string tied to each hole. Print and cut your front page and internal pages and glue down. Now it’s time to start collecting some nature. Head outside and see what you can find. Get the kids to think about what they can create with the items they collect. Bring them inside and start working on craft projects by mapping out the types of craft they can create with the nature items they find. They can use the pockets to store their collections. We have an awesome range of craft materials in our Nature Inspired Craft section. 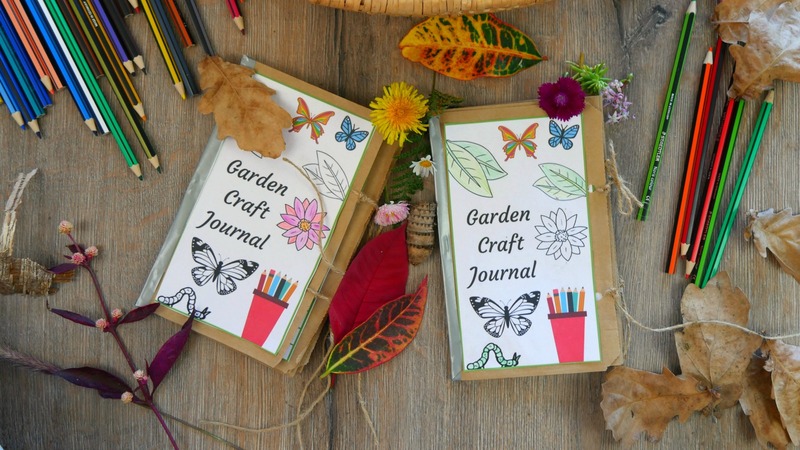 If you love a craft project where you can use a range of natural materials or even a flower press, head over and check it out.